Home → The Real Estate Book Blog → Arranging Furniture? Do it Feng Shui Style. Whether you're selling a home, getting ready for an open house, or moving into a new home, there are many ways you can arrange furniture. But here comes the hard part - which layout is most effective in functionality, harmony and design? This week, we'll focus on incorporating feng shui into your space, which has shown to be very beneficial for many home owners. What does feng shui even mean, anyway? In the literal sense, it translates to "wind and water" or the ancient Chinese art of placement. It is designed to enhance the flow of chi, or spiritual energy, and create a harmonious environment that supports health, beckons wealth, and invites happiness. 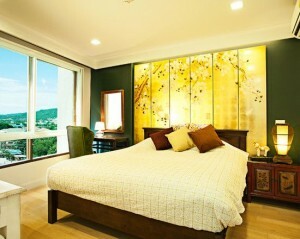 If you believe that we are affected by our surroundings, then it's time to feng shui your home! Here are some furniture arrangement tips that will help you bring some harmony into your home and make a great first impression at your next open house. It may even bring you good luck! the best way to create the best feng shui in your living room is to have a circular furniture arrangement, and there should not be any chairs with their back to the door. Avoid clutter in your living room so that energy flow is not distracted. The main pieces of furniture in every room should be in the "empowered position", meaning they are facing the entrance but not completely aligned with it. Arrange your bed in such a way that it isn't aligned with the door because that specific placement is believed to not be conducive with good luck and health. This is called the "Commanding Position." You should also have a good supporting wall behind the bed and nightstands on either side to balance energy. Before even thinking about arranging furniture on your patio, make sure it is clean and clutter-free. You can then use different types of patio furniture that promote different feelings and emotions. A square table will encourage stability in relationships, a round table promotes a united community, and a rectangular table encourages lively discussion. Use these tips to bring in some feng shui flair and improve the visual flow of your home, making it feel comfortable and promote good fortune for yourself and your guests. Is feng shui right for your home?